Some 13 Pre’1966 Legends made their way to the picturesque Dezzi Raceway at Port Shepstone. 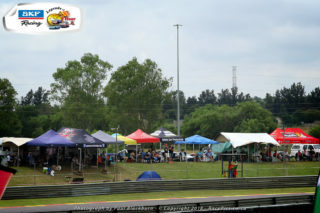 Those who went had a great weekend of racing. It was Ismael Baloyi who held sway in the 1959 GSM Dart Alfa and won the category outright. 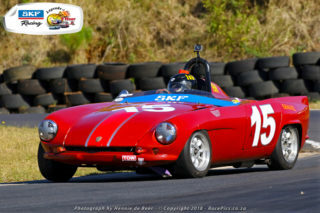 The man of the race was however Mark van Rooyen who is just getting faster and faster in the rare and distinguishable Sunbeam Alpine. 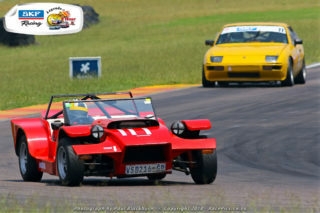 Chris Carlise-Kitz gave chase, but the two lighter sports cars had the advantage of the undulating tight Dezzi track. Not far behind was Les McLeod in the Class B MGB. It was good to see Kyle Brink back in the Austin Cooper S and was rewarded with a win from Clive Winterstein in the real Porsche 356 A. Chris Visagie could not repeat his recent form in the Anglia as the engine went off song in the second heat. 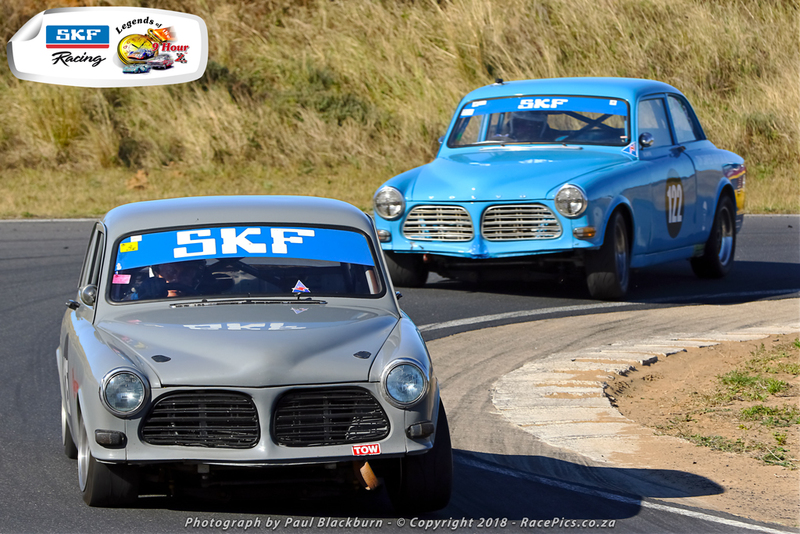 The U2 class was hot with the two Volvo’s (Alan Poulter and Vic Campher) dominating the Mini Cooper of Stuart Greig and the two Alfa GT’s of Francesco Lombardi and Chad Ten Doeschate. It was however all very close with all five cars lapping in 1-28/29. A magnificent sight of equally matched cars and drivers in historic production cars. In the end the honours once again went to the two Volvos… but it was close. 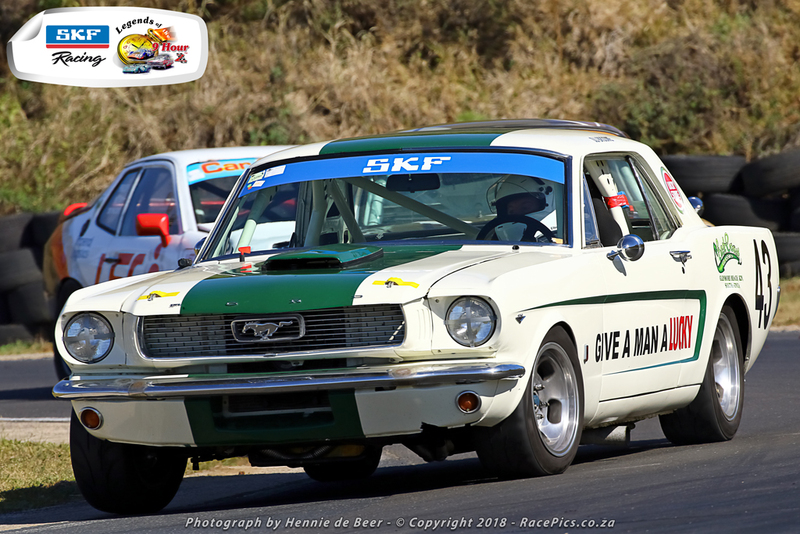 Shannon Winterstein’s Lotus 23 represented the Pre’1966 Sports & GT and Oliver Broome won overall (including the Pre’1990 Class) in the 1965 Ford Mustang in van Rooyen colours. 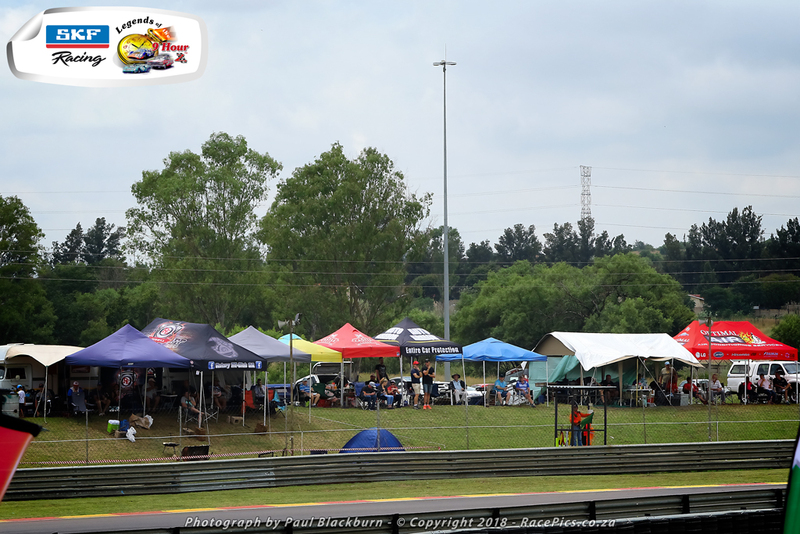 29th September – HISTORIC TOUR – Zwartkops Raceway: Please refer to the regulations that were circulated on the 17th August 2018. This is going to be a major day with a full TV package. As far as the Legends are concerned our focus will be on the Pre’1966/68 Sports & GT cars. The cut-off time will be set on the class B times – 69/70 seconds. 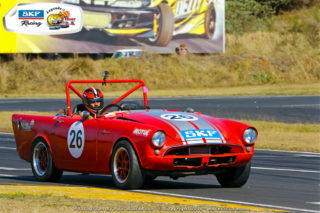 The prime reason being that we want to encourage the class B competitors and motivate them to overall winning status. This is important as the 2019 South African TT will have a cut-off of 1,10. Existing competitors who ran class A (three) will have restrictions imposed. International entrants are being put off by our cars which do not comply to European standards. U2 and LITTLE Giants will have their own stand-alone event. The big Pre’1966 Production class will be included with the Pre’1974 ISP for this event. Pre’1966 Production cars will be the prime focus for the 3rd November when there should be some international participants. 3rd November – HISTORIC TOUR – Zwartkops Raceway: Prologue to the International. This day’s focus will be on the 2019 Passion for Speed Festival. As already alluded to, we will have a European contingent joining us on the day. 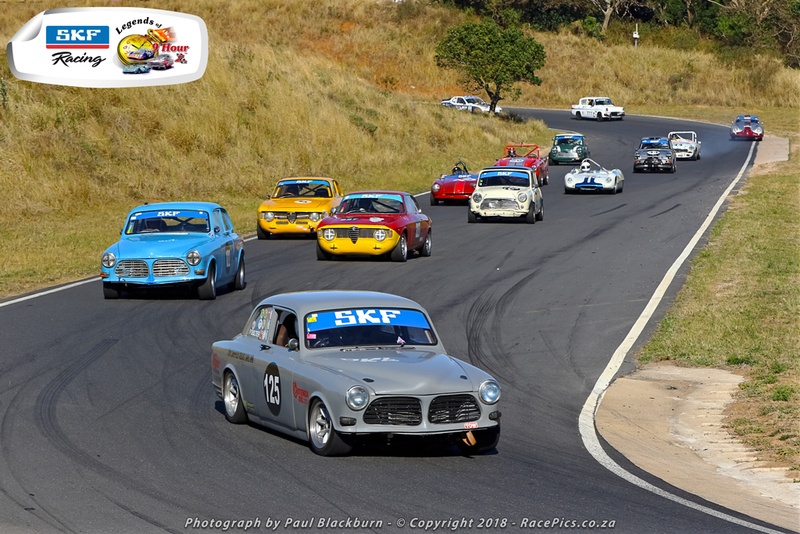 The prime event will be Legend Production cars Pre’1966/ extended to Pre’1969 with 10/12 class A/B super big racers, U2 and LITTLE Giants Pre’1974 ISP will be presented under a different format. Our National Technical Regulations for Pre’1966 Production Cars, Sports & GT Pre;1966/68 and ISP will remain unchanged. HOWEVER, there will be two important sporting changes. One: Pre’1966/68 Sports & GT will be extended to Pre’1970 by invitation. The U2 will also be extended to Pre’1969. 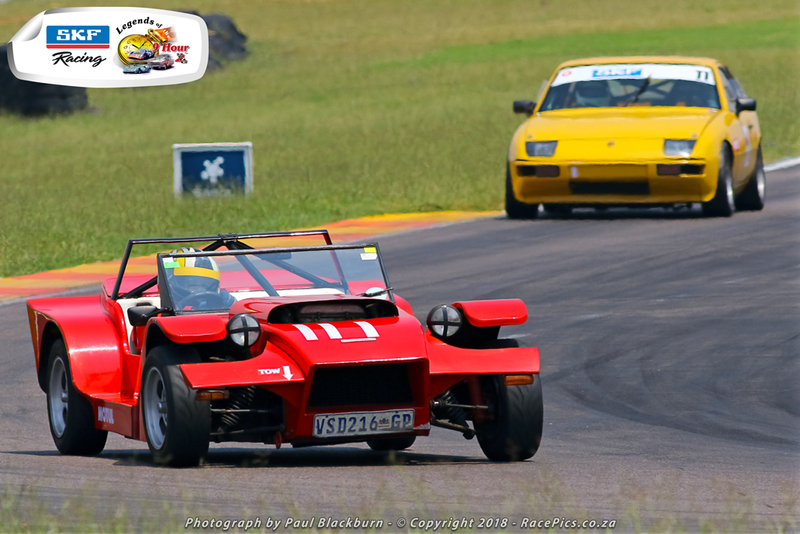 LITTLE Giants Pre’1970 and ISP will remain Pre’1974, but with special invitation for reasonably compatible cars (those raced in South Africa) up to Pre’1990. Two: The respective cut-off times are still under discussion. All our regulations will be submitted to MSA by the 15th September. The meeting at Duimpies on the 4th September is therefore important. Note: All cars competing in our series need HTP’s. Any queries: contact Brian Cook or John Ten. We need to motivate as many as possible to join us in Cape Town. Our regulations should be finalized by mid-October. 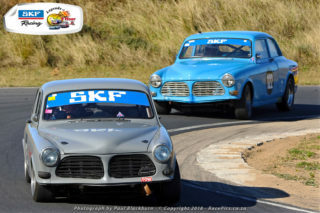 The state of the economy and the Rand is making it all the more costly to run competitive Legend cars. Also, the time and pressure on small and medium sized enterprises is resulting in certain competitors/racing teams to reduce the amount of time and money spent on racing. Over and above all this, there is the value of our Legend cars which, in some cases makes it difficult to justify racing them. Despite these issues we are still producing reasonably good fields, competitive racing and produce a clear perspective of the cars we are entering and racing. It all looks good with an appreciative audience. The South African made Marauder. They are reasonably priced, have a wide variety of engines and cheap to run. Another is a GSM Dart. They are a little more difficult to find, but they are there. 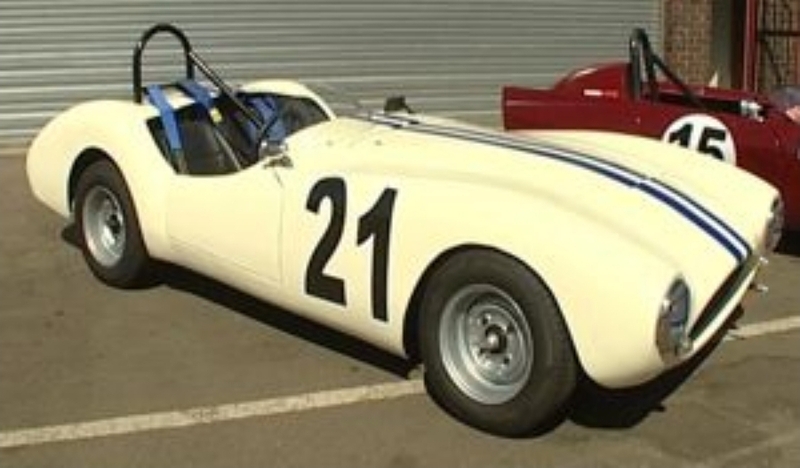 A very effective round racer. Speak to Garth Waberski. He is building a tribute Protea. He also has a Porsche 550/356 kit car. All Volkswagen. Anglias – provided you do not over modify the engine. The same applies for the Mk1 Escourt. 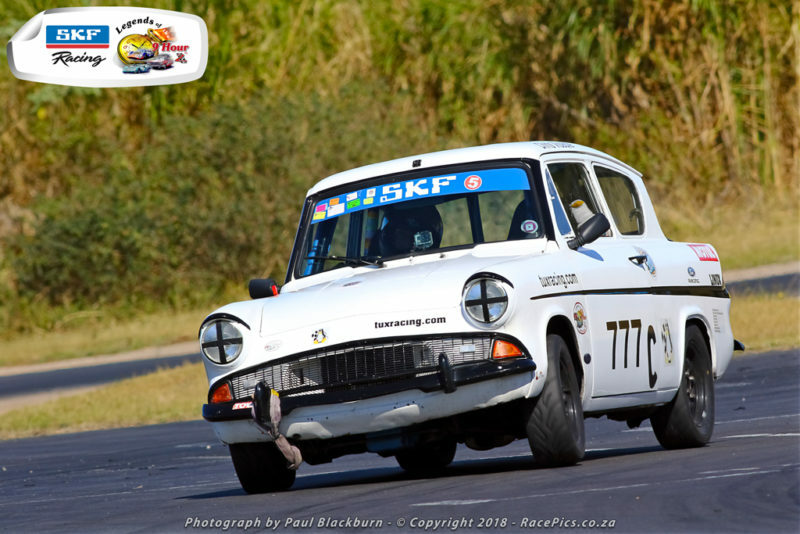 The next meeting will take place at Duimpies Hanger, Tuesday 4th September 2018. 7PM for 7:30. See you there! !